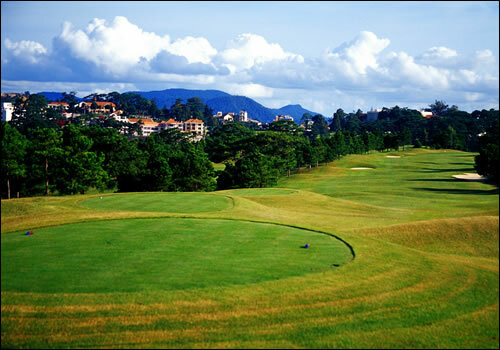 Located 1,500 metres above sea level in the cooler central highlands at Dalat City about 4 hours from Ho Chi Minh. This 18-hole Vietnam golf course is crafted into the area's gently rolling hills, surrounded by stately pine trees, and seated above majestic Xuan Huong Lake. At 7,009 yards in length and par 72, Dalat Palace golf club is an enjoyable challenge for golfers of all levels and i perfect if you're planning to play a bit of golf when you visit Dalat. 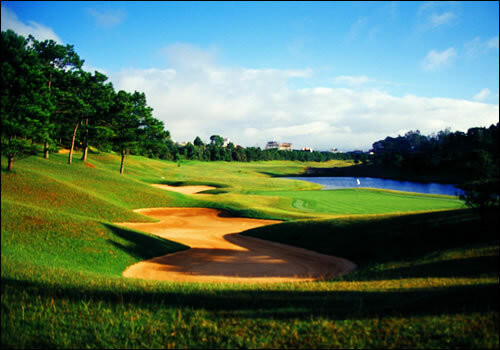 Low Handicap golfers will be tested by a series of lakes, which meander through ten of eighteen holes, as well as strategically placed bunkers, which penalize the miscalculating risk-taker. 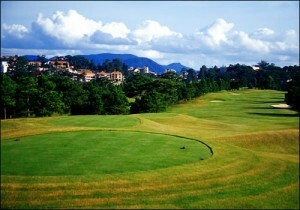 Dalat Palace Golf Club is one the better designs on all of Vietnam golf. 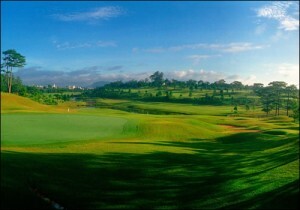 Novice Vietnam golfers will find relief with large accommodating greens normally left open run-up approach shots, as well as wide, forgiving fairways. 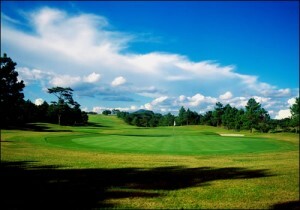 The clubhouse has been fully restored with a full pro shop, restaurant, wood burring fireplace and outdoor patio areas. The clubhouse restaurant offers both superb Vietnamese and International cuisine. 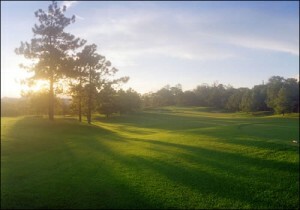 A full practice facility complements the golf course and clubhouse, with a 290-yard grass driving range, a putting green, and practice bunkers. 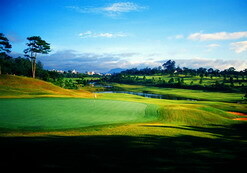 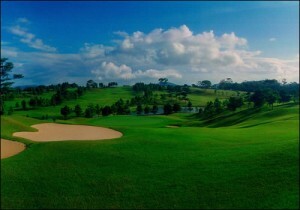 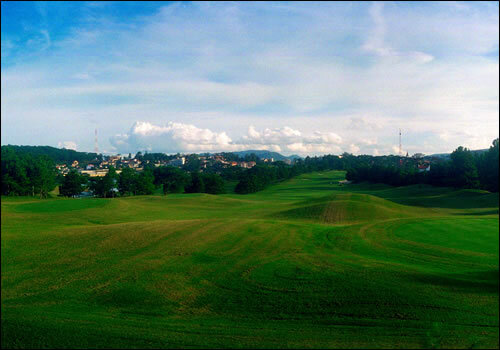 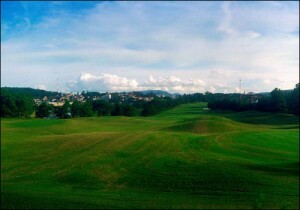 Surveys in 2001, 2003, 2005, and 2007 by Golf Digest ranked the Dalat Palace Golf Club as the top course in Vietnam. 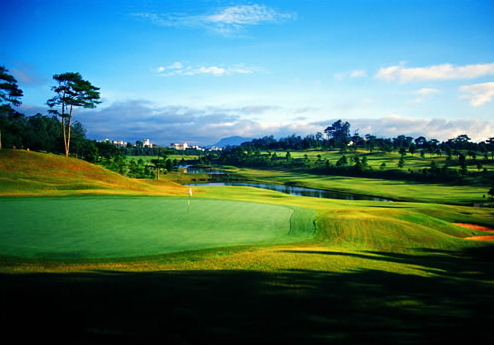 For tee times at Dalat Palce Golf Club and every golf course in Vietnam please contact our Vietnam Golf experts who'll give you all the advice and help you need to book the ultimate golf vacation in Vietnam.